Our humble thanks to the readers of Cigars & Leisure Magazine for choosing the Isabela "Sparkle" Robusto as the Top Cigar in its 3rd Annual Reader's Choice Awards. 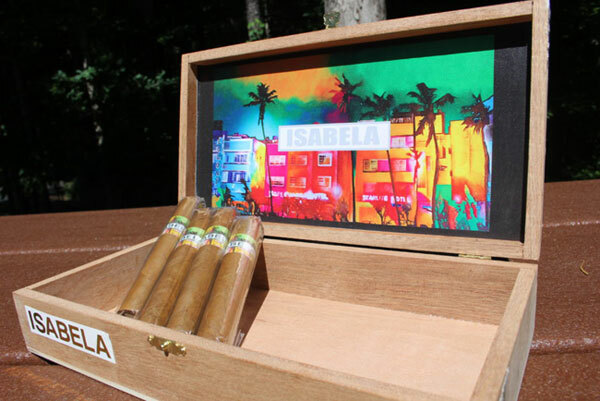 "This is a hefty, weighty-feeling cigar for a Robusto, tipping the scale at just over half an ounce. It is well-packed with fragrant leaf and evenly springy to the touch when pinched along its length. The light brown wrapper is shiny and nearly flawless, with scant veins and invisible seams. The attractive band is self-adhesive and pops off cleanly with no trouble. Before light-up, the cigar evokes an alluring scent of caramel or nougat. This thing is built like a tank, including triple cap, so I was confident enough in the construction to use my 9 mm Xicar punch cutter, which worked marvelously. The cold draw is easy, with just a light, delicious tobacco note."